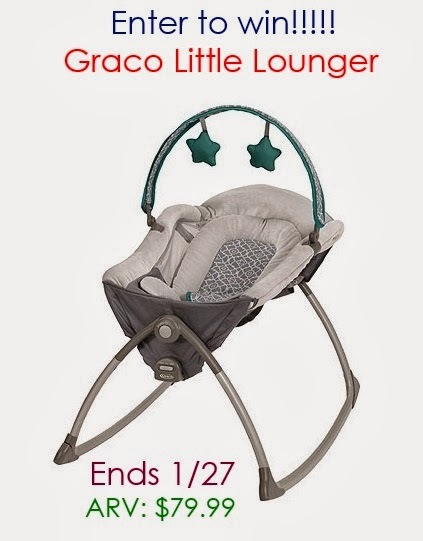 Graco is obviously a leader when it comes to innovative baby products and gear. They are one of the most popular brands in families homes with children and they are the most recognized here in the United States. When I first saw the Little Lounger, I knew I wanted to try it for the new baby due in January. It's a great little lounging seat that is a rocker OR a vibrating lounger seat. We got the Ardmore pattern. Inside the box may look daunting, but it's very few items. The lounging seat, the 2 legs, the brackets to put the legs in, the toy bar and then the vibrating piece. First you pop the brackets on each end of the seat. They secure down very well. Once the brackets are on, you pop the legs on. The vibrating portion just pops on the bracket and requires a D battery to operate. It has nubs that touch metal on the bracket and it makes the whole seat vibrate. These are the rocking locks. You pop them down to lock it and make it a stationery seat. Or put them back in to make it a rocking seat. Really easy to use. On one side of the head portion of the seat is this easy adjuster. Just pull the grey tab and then pull the white part OR push down on the seat to get it to recline. and the seat all the way down. Not a huge difference, but enough for a newborn baby. 3 point harness is safe for baby and there is also a fabric cover to prevent baby from fiddling with it. It also folds up, you push the button there on the front and just lift it up (have to take the toy bar off first though). This makes it easy to move from room to room or to take to grandparents house. My 23m old son is obviously WAY too big for this, but he kept saying 'night night' from the time I opened it, and he is under the 30 pound weight limit (he's only about 22-23), so I let him relax in it for a couple minutes. He looks comfy though even though his little legs are bent, right? Here is little Liam in it! I love the reclining feature. My daughter had severe reflux and being in that recline position would really have helped her. It's nice to keep every newborn on a slight incline just so they don't spit up, so that will be used constantly in our house. The gentle vibration is really nice too, it's gentle, but definitely enough for an newborn/young infant to relax and get calm to go to sleep. It's also a 2 speed vibration to suit your baby's needs. I love that the seat can rock OR be stationery. Some babies don't like rocking and some do, so it's nice to have both features and figure out what works best for your little one. The seat is very lightweight so it's easy to move from room to room and have baby right next to you at all times. I can see myself using this by the bed at night (much smaller than a bassinet/pack n play), in the living room during the day, in the kitchen while I'm cooking, or even outside while the older kids play. It's nice and easy to slide from room to room or to pick up from room to room and put it right where it needs to be at that moment. It's also meant for babies from 5.5-30 pounds so know that your newborn and infant can use it safely no matter what their weight. Price: The Little Lounger is $79.99 and I think it's totally worth it! Overall: ***** I love this seat, it's really soft, has a lot of great features. I have been debating about getting this for our newest one too, did you use this instead of a bassinet? I love Graco's Pack N Plays! This Little Lounger looks so cute and comfy! I also like Graco's Pack 'n Play® Playard with Newborn Napper® Station DLX off of their website. It would be perfect for the first few months of baby sleeping in our room before moving her to her own room and big crib. I like the True Focus Digital Video Monitor. I LOVE the Graco Snugride Car Seat with the stroller frame! I would also love to have their Pack 'n Play Playard with Cuddle Cove Rocking Seat in Rittenhouse Color. I like their SnugRide® Click Connect™ 35 LX Infant Car Seat. of the Graco Pack 'n Play® Playard with Cuddle Cove™ Rocking Seat. It has a changing station for newborns & a rocking seat to help them calm down. These are removable and the Playard can be used through the toddler stage. I like the Duo 2 in 1 Bouncer/Swing! I like their Pack 'n Play® Playard with Reversible Napper & Changer in soho pattern. I like the Pack 'n Play® Playard with Newborn Napper® Station LX. I like the Duo 2 in 1 Bouncer/Swing! thanks for the opportunity ! I really like the Ready2Grow Classic Connect LX Stroller in Odyssey! We need a double stroller and this one looks perfect!! I like the Travel Lite Crib with Stages, Keaton. I would love my niece to have the Dynamo Lite Classic Connect Stroller. I like the 3 wheel strollers! 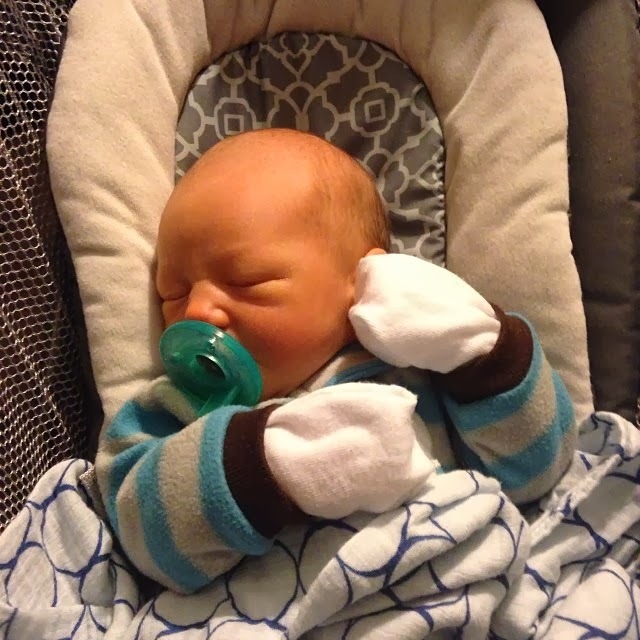 I love the Sweet Snuggle Infant Soothing Swing. I would also like the Table Fit highchair, great idea so they can sit right at the table for meals. I am in love with the FastAction fold duo Click Connect Stroller. I love my fast action fold stroller already, but when our family grows we will definitely be in the market for a duo stroller. I love the SnugRide® Click Connect™ 35 LX Infant Car Seat . Super high safety ratings. I also like the Pack 'n Play® Playard with Cuddle Cove Rocking Seat. I love the TableFit highchair! it would be perfect for my little one! I'm actually looking to get one of Graco's travel highchair. We go visit the grandparents and friends and this seems their travel highchair looks very portable! I would also really love to own the Modes™ Click Connect™ Stroller. I love the color they offer! I love the Pack 'n Play® Playard with Twins Bassinet! I like the Blossom™ 4-in-1 Seating System. The new Graco Trekko Classic Connect stroller. I like the Tote Diaper Bag in Dotastic. I would like to have the Trekko Classic Connect Stroller! the new breaze stroller is so cool! I like the blossom highchair. I would love to have the Ready2Grow™ Click Connect™ LX Stand & Ride Stroller, I need one so bad! I like the Roman High Chair. I love Graco Pack n Plays, I have 2. I like the UrbanLite Click Connect Stroller. Love the pack n play on the go playard in go green! I like the luv n hug infant swing. RoomFor2 Classic Connect Stand & Ride Stroller. I am looking for a new pack and play from Graco! I like the Pack 'n Play On The Go Playard. I'd love to have a high-quality but lightweight stroller, so I'd love to try Graco's Breaze™ Click Connect™ Stroller. I like their toddler booster seat. I would love to give the Dynamo Lite Classic Connect Stroller to my brother! UrbanLite Click Connect Stroller looks like a sleek way to push the kids around. I like their Graco Snugride card seats. I like the Dynamo Lite Classic Connect Stroller. Thanks so much for the fantastic giveaway! I should shop Graco more often. I just discovered the Ready2Dine Highchair + Portable Booster and love it! I could really use a pack n' play. I like the Pack N' Play Playard with Automatic Folding Feet in the "Pasadena" print, but it looks like it's been discontinued! I also like the Breaze Click Connect Stroller! I love lightweight strollers! Love the Dynamo Lite Classic Connect Stroller! The Pack 'n Play® Playard with Cuddle Cove™ Rocking Seat looks awesome! I also would love the FastAction™ Fold Jogger Click Connect™ Stroller! Pack 'n Play® Playard with Cuddle Cove™ Rocking Seat would be great! I like the Graco Century Pack 'n' Play Playard in Jungle Boogie. (Graco site is down at this moment so I had to look on Walmarts site). I really like their My Ride 65 car seat! I like the FastAction Duo Stroller. i really need a graco playyard for my baby! I like the Madison Comfy Cove Swing! I love their play yards! I really like the Pack 'n Play® TotBloc Playard. too cute. I would love to have the comfy cove swing in Priscilla, so adorable. The Duo 2 in 1 Bouncer/Swing would be great. The smart seat all in one car seat looks great! love the pack and play yard with the rocking seat! I also like the FastAction Fold Jogger Click Connect Stroller from Graco. I like the Gliding Swings. I really like the style and design of the FastAction™ Fold Jogger Click Connect™ Stroller. I really love the pack and play. I like the Dynamo Lite Classic Connect Stroller. I'm lovin' the tablefit highchair! I like the Contempo™ Highchair. I would love the Pack n Play Playard! FastAction Fold Jogger Click Connect Looks like a great one. i would also love to get the fast action fold jogger click connect. I need the My Ride 65 Convertible Car Seat. Thanks for the giveaway! I'd love to try the FastAction™ Fold Duo Click Connect™ Stroller. We need to get a double stroller soon! I like the Duet Soothe Swing and Rocker. I love the Pack 'n Play Playard with Cuddle Cove Rocking Seat. I like the UrbanLite™ Click Connect™ Travel System in cascade pattern. I like the Winslet Travel Lite Crib. I also like the travel lite crib in winslet. I would love to pick out a new pack n play! They are so great from Graco. Thanks so much for the chances to win. I like FastAction Fold Duo Click Connect Stroller, thank you for the chance. I also love the Pack 'n Play® TotBloc Playard.